Long associated with the darker side of our subconscious, bats are inherently creepy. 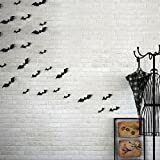 This makes them a perfect Halloween decoration to pair with spiders, ghosts, ghouls, skeletons, witches, and more. 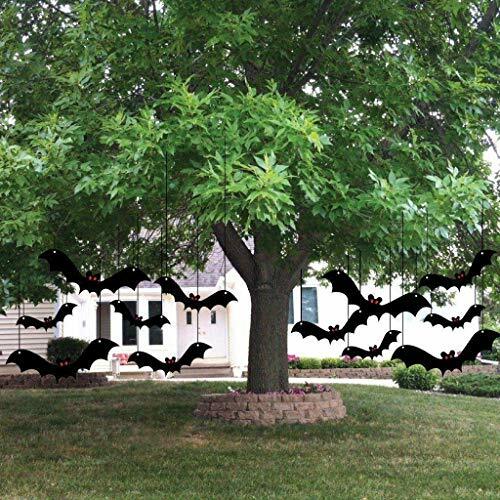 The best Halloween bat decorations instantly give any Halloween party a little extra “spook factor”. Here are 5 of our favorite Halloween bat decorations to consider when you prepare for this year’s October 31st festivities. 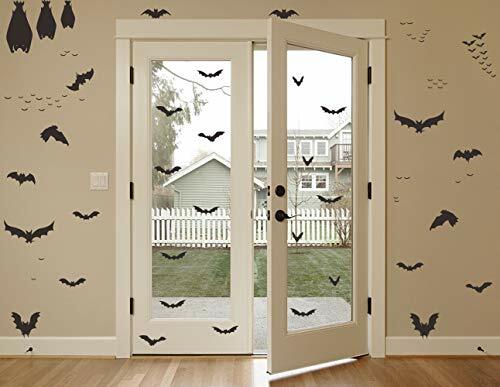 These Removable Peel And Stick Bat Decals For Halloween are an easy solution to turn your home or office into a “bat cave”. They aren’t designed for textured surfaces, but they stick easily to any smooth surface such as doors, floors, tables, windows, and walls. They are also removable and repositionable and won’t damage surfaces. If you’re looking for cute bat decorations this Halloween, be sure to check out the Webkinz 8.5” Black Plush Bat. 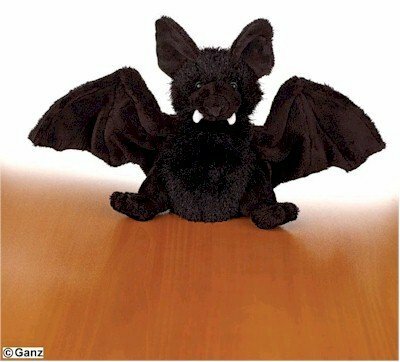 It’s one of the most adorable plush bats we’ve seen. Like all Webkinz pets, it comes with a secret Internet code that allows you to go online and adopt a virtual version of the bat. You can name it, make it a home, and even play games with it. It’s perfect if you’re looking for “cute and cuddly” instead of “spooky and creepy” vampire bat decorations this Halloween season. We mentioned cute bats up above, and now it’s time to touch on the more sinister and scary bat decorations for Halloween. 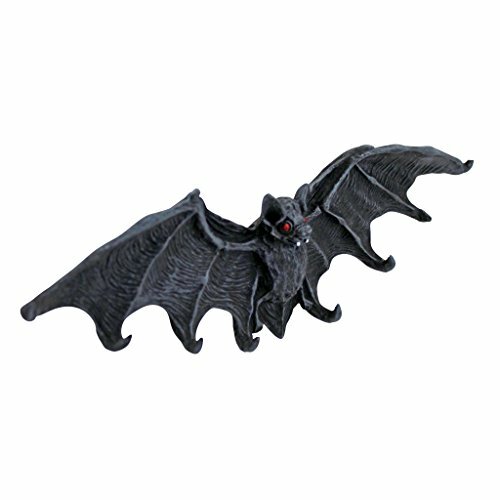 If you’re looking for outdoor bat decorations, it’s hard to go wrong with the Scary Hanging Bats Halloween Yard Decoration. Included are 12 hanging bats in 3 different sizes ranging from small (9” wide x 3” high) to large (16” wide x 5.5” high). Cut from corrugated plastic, these bats have two holes in the wings for easy hanging from just about anywhere. Placed in trees or hanging from the porch, they look quite life-like as they fly and flutter in the breeze. Also included are red vinyl eye stickers you can place on the bats for a more sinister look. It just wouldn’t be Halloween without the mention of at least one vampire bat decoration. The Vampire Bats Of Castle Barbarosa by Design Toscano are a set of 2, 4, or 6 greytone-finished designer resin bats with scary eyes and menacing fangs. We like these because of their versatility. 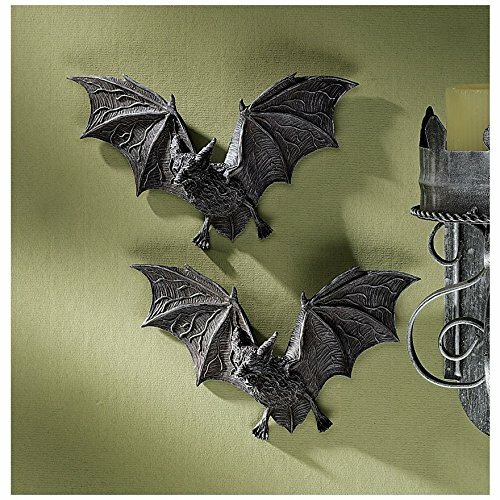 Hang them indoors on the wall or use them as an outdoor Halloween bat decoration to warn all those who dare enter. 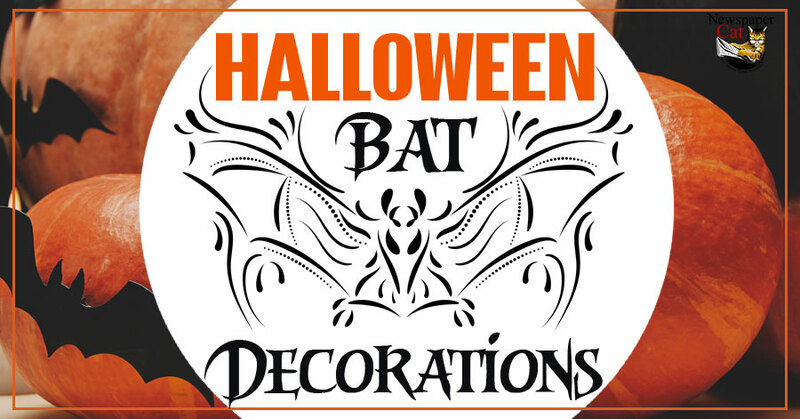 Each bat is 7″ W x1.5″D x4″ H.
Another one of our favorite Halloween bat decorations also comes from Design Toscano. The Vampire Bat Key Holder Wall Sculpture is a realistic bat decoration that can hold up to 8 keys which hang from hooks on the bottom of its wings. Hang it in your entry way to make a perfect place for guests to hang keys, coats, and other items when they arrive at your Halloween party. It includes built in key-hole slots on the back, so hanging it on any wall is a breeze. This Halloween, you can find bat decorations in all shapes and sizes. For even more great ideas, be sure to look at these animated bat decorations, flying bat Halloween decorations, lighted bat Halloween decorations, and spooky bat decorations. If you’re the creative type, here are some do it yourself Halloween bat decoration tutorials you can try. These homemade bat decorations look great and are easy to make. Have fun and happy Halloween! 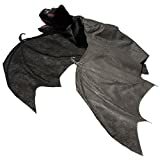 Prextex Giant 30" Animated Hanging Bat (30" Wing Span) Halloween Decoration with Maniacal Laugh and Screams! Built-in Motion Sensor That Detects Voice Vibration and Responds with Loud Creepy Screams & Laughs. Great Halloween Decoration! 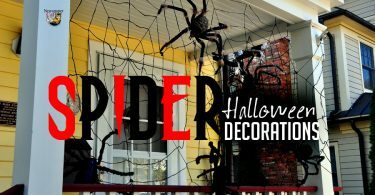 This amazing Halloween decoration will leave your house the talk of the neighborhood! Scare your trick or treaters this Halloween with this cool animated bat! The bat has a maniacal laugh then it screams and has a creepy, scary laugh again. It also flaps its wings and moves its head around while making noise and has glowing red eyes that are LED's so they will be super bright! You can set it to automatically turn on when your trick or treaters scream and yell! Ready to creep out those trick-or-treaters this Halloween? 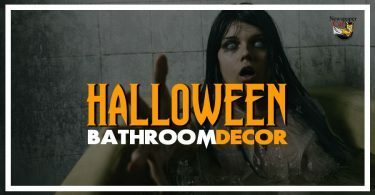 Need something scary to spook your guests? Then this Hairy Vampire Bat Decoration is just what you're looking for! This awesome accessory features a lifelike, tan and gray bat with red eyes, claws, and a fuzzy torso! This flying fiend also has a wingspan over two feet wide! Everyone will duck out of the way when they see this rabid rodent dangling around your dwelling this Halloween! With this Hairy Vampire Bat Decoration, you'll have just what you need to freak out your friends this Halloween season! Make your Halloween party special with these festive hanging bats. They'll help turn your space into a spooky one with ease. Bats include suction cups for easy hanging, without any damage to ceilings. 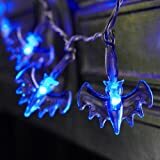 Don't be left in the dark this Halloween, these 20 LED battery operated Bat fairy lights are ideal for placing in the home to brighten up your Halloween party. Requiring just 2 x AA batteries (not included) these lights are simple to use, and most importantly are totally safe. Perfect for finishing your children's Halloween outfits & keeping them lit up! These indoor Bat battery lights are a creative alternative to candles and are so much - the perfect accessory for your Halloween event. Placed around a doorway, these novelty Bat lights will ensure your entrance is glowing for all those trick or treaters! Dress your children with battery operated Bat lights to ensure they are spookily dressed this Halloween! The bulbs stay cool to the touch and can be safely used anywhere in the home - the discreet battery pack means it can be easily disguised in your display without leaving trailing wires, so you don't have any excuse not to celebrate Halloween this October.